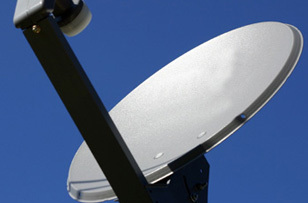 Satellite and TV Aerial Specialist Installer | All Kent areas daily. It may say Maidstone in our name, but we’re ready to bring our satellite TV and digital aerial repairs and installation skills to domestic and commercial customers across the whole of Kent. Yes, that includes you in Ashford and Whitstable, Rainham and Rochester, Bromley and Tunbridge Wells and everywhere in between. If your satellite dish hasn’t been the same since that last storm, or you’re wanting to upgrade your digital TV aerial to give yourself a better reception, or if you’re looking to install Sky TV for the first time, Maidstone Aerials And Satellites are the people to call first. We’ll supply all the satellite and digital aerial equipment you need and make sure your home or work digital TV or radio system is installed and fixed to the highest standards. We’ll even carry out high-up installation and repair jobs that other companies might have refused. Our Engineers are based locally in Kent and are on call 7 days a week, ready to provide a Same Day Service for some of the best prices available. We’ll give you a quote fast and could be at your place ready to get to work within 1 hour of your call. At the very least we always aim to get to every customer within 48 hours. All Maidstone Aerials And Satellites Engineers have earned their stripes, having at least 5 years’ experience in the digital TV industry. They know their stuff, so can find and fix faults fast. That’s why we successfully complete 95% of our jobs first time. 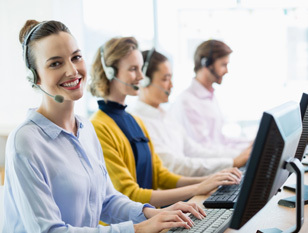 We take time to train all our staff in the importance of great customer service. That means not just being polite at all times, but also being sensitive to each customer’s different needs and ensuring that while we work we have a minimal impact on our customers’ daily lives. We’re an independent company, so there’s no one pulling our strings and telling us to recommend one digital TV aerial or satellite TV system over another. So you can rely on us for expert advice that’s impartial and has your best interests at heart. If your TV picture isn’t as crystal clear as you’d like, upgrading your digital TV aerial is the solution. We recommend you don’t try this at home yourself, even if you do have a head for heights. Give the experts here at Maidstone Aerials And Satellites a call. Our locally based Engineers will make sure your new digital TV aerial is perfectly placed to give you the best reception. We’ll even take on most tricky installations that others may have refused for being too high or too difficult. We’re experts at all kinds of satellite TV system installations and repairs, including Sky, Freesat, foreign language satellites and, of course, brand new Sky-Q. Call us and we’ll provide all the equipment, all the expertise to install it and all the help you need to use it. Looking for a great Sky-Q installation deal in Deal? 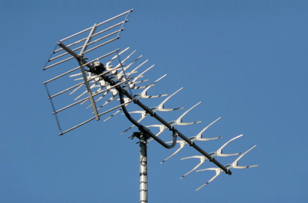 Does your digital aerial need fixing in Folkestone? Or are you wanting satellite TV in Sheerness, Sandwich or anywhere else in Kent? Whatever you need, call Maidstone Aerials And Satellites first. We can do it all.